ABOVE: A lovely fall Saturday. But wait, up high, is that a bird? A plane? Why, no, it is just some bald guy. ABOVE: You see him? Over at the right edge of the scaffolding? ABOVE: Oh. It is just…me. 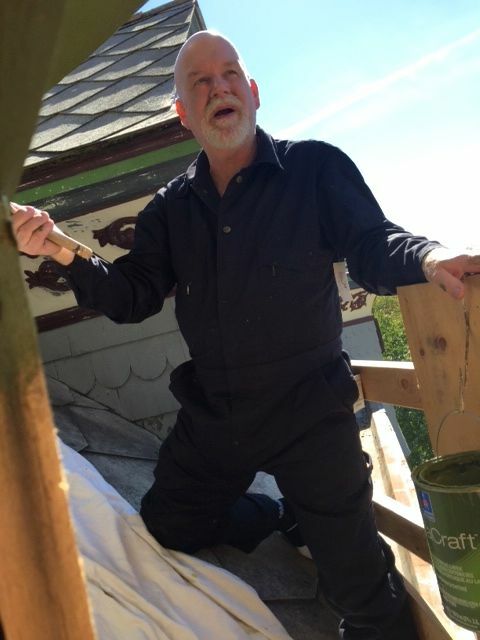 1) WHAT I am doing up three-stories in the air, on a fine fall afternoon, at my age? 2) I am a bit afraid of heights. 3) Did I just pee in my overalls? 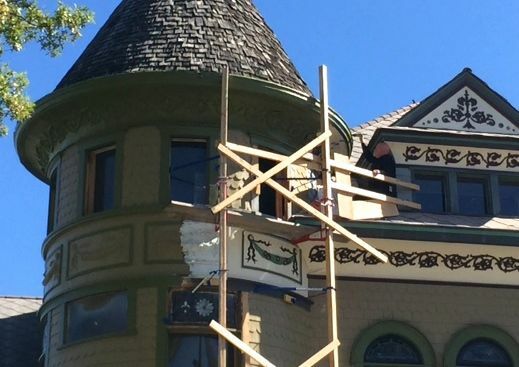 NOTE: The green and olive gold are the original colors being returned to the Cross House. NOTE: The plexiglass in the windows is temporary while the real windows are being restored. My question is, was this a selfie? Lol. Get down from there right this minute! I have to commend you for your bravery and dedication. 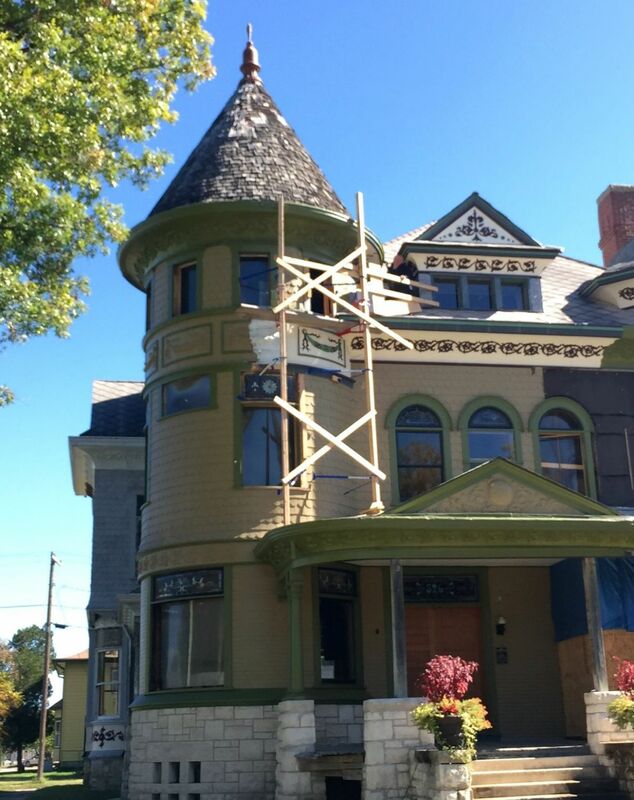 I had the privilege of visiting with a man in Dallas Oregon who was restoring an 1800’s Victorian. He said many people buy old homes because they always wanted one, but owning and maintaining are 2 things. He had to completely replace the original kitchen because the former owners couldn’t afford to fix a leak on the second floor. I am glad to see you saving a piece of history. Good luck to you!! For some reason this just brings to mind the song “Lets Go Fly a Kite” from Mary Poppins. I don’t know why, but you are really high up there in the atmosphere! Very brave! So, you are not only smart, knowledgeable, articulate, passionate, and a bit crazy, but you are not hard on the eyes, either! My bald head blushes! And thank you! Yes I echo Miriam, just cute as can be! I love your expression.